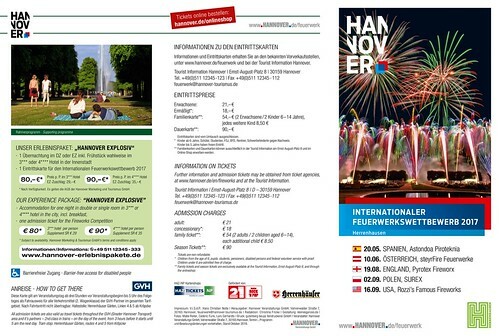 On Saturday 20th May 2017, the first display of this highly acclaimed German International Firework competition gets under way in the midst of the beautiful baroque gardens of Herrenhausen in stunning Hannover. The vibrant firework displays always bring huge crowds of visitors to this magnificent firework festival which combines the fireworks show with a mixture of live and recorded music in a 25-minute long showcase. The Spanish company was founded in 1885 and still continues to manufacture high-quality display products used all over the world in their professional displays. SteyrFire is one of the largest firework display operators in Austria. They wholesale large volumes of fireworks all over Austria and provide professional shows for corporate events and special celebrations. Team Pyrotex from the UK have pretty much competed and won every firework competition out there. The family run business takes perfection to the nth degree and really have a special talent when it comes to designing the shows themselves. Surex is a professional firework display operator based in Poland and also supply consumer fireworks too. A family run business with a long history of explosives knowledge. The world renowned Rozzi Fireworks is still a family owned and operated firework display founded in 1985 and is now run by the fifth generation. The Rozzi Fireworks family is one of the very few companies still manufacturing firework articles in the USA, using the original family chemical compositions and drawings, that has been passed down to the next generation. 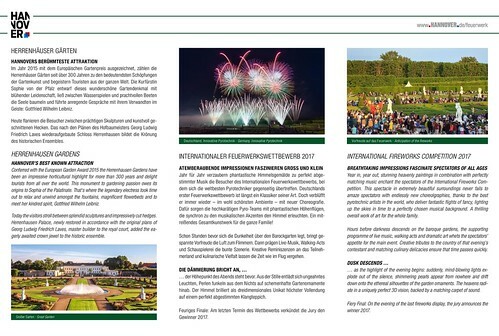 On the evening of the last fireworks display the jury will announce the winner of the fireworks competition. Further information and packages can be seen blow.